Mix Business With Pleasure Median Auction Maiden Stakes. A restricted race for 3 - 5 year olds whose sire established one or more yearling sales, with a median price of not more than £18,000. Just four contest this race over 6f on standard going. On paper this looks a terribly poor race. Perhaps that's why I find it fascinating. Who will win? Time will tell. However, this post is more about exploring four horses than doing the light fantastic. In a crazy way I love these races. Sally Bruce, trained by Louise Best, ran over course and distance just five days ago. This bay filly doesn't lack for fitness, having six races since mid November. Her best performance was seen at this track in January when finishing second. After losing at Claiming level and having an official rating of just 49 would suggest this would have to be a lowly affair to win after eleven starts. If any of these have ability she will struggle but that is a big assumption. Tavistock Fair ran twice last month when finishing last on both occasions. After running over 1m 2f and then one mile this is a marked drop in distance. This Irish home bred is likely to find this shorter trip a rude awakening. The stable won't find many more open race and they will be pleased to accept at least £144 for fourth place prize money if not more. This bay gelding needs to be much sharper and there are question marks. John Long fields an interesting filly, a daughter of Ishiguru. This American bred didn't seem to go through the sales but is related to a number of expensive horses with a couple of half-brothers fetching $80,000 & $140,000 respectively. I'm sure there must be an interesting story about this youngster and she may progress with racing. Guru Baby was unfancied on her first three starts although made a bold show on one occasion when fading in the final furlong. She managed to beat Sally Bruce that day so it will be interesting how they compare on this occasion. This bay was sent off a 20/1 chance last time but didn't show a great deal. This drop back to 6f may be more suiting. In truth this race is about one horse - Friendship Is Love. This chestnut filly was withdrawn when going through the sales as a foal. Considering her owners bred the mare - who managed to scrape one place effort in seventeen starts - she must be a home bred, originating from Roseyground Stud. The mare needed a trip, however, this looks ideal from the sire's perspective. Will Friendship Is Love win? The difficulty with a debutante against poor raced opposition is that potential naturally rears its head. This chestnut doesn't need to achieve a great level of ability to win but inexperience on a turning course can be costly. 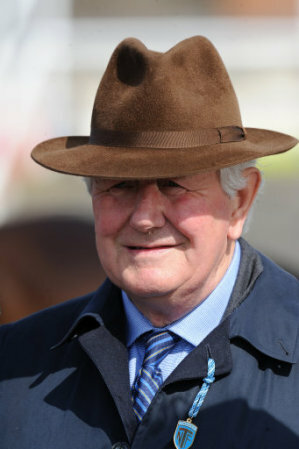 David Elsworth can send out debut winners although his horses often improve for their racecourse bow. Conclusion: All horses bar Friendship Is Love have shown limited ability and that may tempt backers to side with Elsworths debutante. She will either win easily or struggle with a tardy start. Those with form are limited but they do have experience and fitness to give initial advantage. It is a fascinating race to watch.